Instead of making unfashionable smart glasses, Apple will make fashionable glasses smart. It's easy to dismiss the speculation that Apple is working on smart glasses. It's hard to picture Apple selling smart glasses. But it's also hard to picture them not doing it. If smart glasses become a popular and mainstream consumer electronics category, Apple will almost be required to enter the market as a fiduciary responsibility to Apple shareholders. Consider the plight of poor Apple. Smartphone margins are shrinking. The tablet market is flabby. Smartwatches aren't panning out as a mainstream platform. Apple TV is still not going to bring in huge profits. So Apple has to adapt and keep up with the evolution of consumer technology to continue to dominate the market as well as secure its growth. Also, the choice of smartphone in the future may be dictated by the use of smart glasses. If mainstream smart glasses require an Android phone, Apple could lose market share. What's certain is that Apple is working on smart glasses. Bloomberg reported in November that Apple was thinking about entering the "digital glasses" market. That report was based on anonymous sources, who said Apple is considering glasses that would go on sale next year and "show images and other information in the wearer’s field of vision, and may use augmented reality." ODG's R-8 smart glasses give you what looks like a 90-inch 3D screen that appears to float 10 feet in front of you. The glasses also have two 1080p cameras. Apple would never make anything like this. The Financial Times reported early last year that Apple was building a large team focused on augmented and virtual reality, and had poached employees from Microsoft and Lytro. Intriguingly, Apple has made some augmented reality-based company acquisitions. Apple bought PrimeSense, which makes the sensor technology in Microsoft's Kinect. They also nabbed augmented reality startups Metaio, Faceshift, Emotient and Flyby. AR-related patents by Apple go back a decade. All that planning, thinking and spending may pay off for Apple when smart glasses go mainstream. And when I say mainstream, I mean totally mainstream. What if nearly all glasses were smart glasses? The signs of the mainstreaming of augmented and mixed reality are everywhere. The biggest one yet happened earlier this week when French lens giant Essilor merged with Italy's eyeglass behemoth Luxottica in a $53 billion deal that will result in the world's largest glasses company, to be called EssilorLuxottica. Wait, Essilor? Luxottica? These aren't exactly well-known companies in tech circles. Let me introduce you. Essilor is the world's largest maker of corrective lenses. The company is strongly focused on research and introduced the world's first branded progressive lenses. You also may have encountered Essilor on its retail sites, FramesDirect.com and EyeBuyDirect.com. Your optometrist definitely has. The company runs the MyOnlineOptical e-commerce site for eyecare professionals. 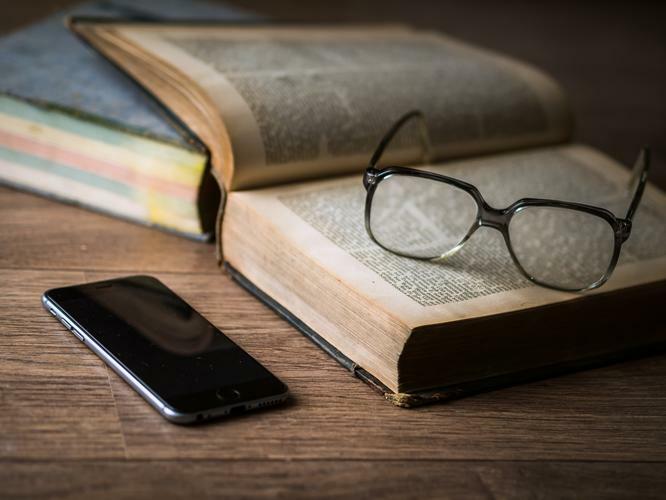 Essilor also unveiled last year a prototype of an augmented reality system for the visually impaired called MyEye, which enables any text to be read, converted to text and then read aloud to the wearer. And you're probably already a big Luxottica customer. The company sells under most of the mainstream brands you're familiar with, including Ray-Ban, Oakley, Vogue Eyewear, Giorgio Armani, Brooks Brothers, Bulgari, Burberry, Chanel, Coach, Dolce & Gabbana, DKNY, Polo Ralph Lauren, Prada, Ralph Lauren, Versace and many others. And you've likely shopped at Luxottica stores, including Sunglass Hut, LensCrafters, Pearle Vision, Sears Optical, Target Optical, Glasses.com and others. So the world's biggest lens company is merging with the world's biggest frame company. Here's the best part: Essilor CEO Hubert Sagnières told the media that the purpose of the merger was innovation in "connected glasses," and the ability to deliver them "extremely fast to consumers through all the stores of the world and all [our] networks," according to the Financial Times. I'll refer you to the list of brands and stores above. That's where the world's largest eyeglasses company plans to deliver smart glasses, and fast. What's wrong with today's smart glasses? While lots of companies explore what's possible with the technology, and what's desirable among consumers, the field is really wide open for Apple and EssilorLuxottica. We all know about the splashy, high-end, mixed reality projects, including Microsoft's HoloLens and Magic Leap's big project. And, recently, we learned a lot more from CES. A San Francisco-based company called Osterhaut Design Group (ODG), which already sells successful industrial AR smart glasses, this month unveiled a sub-$1,000 pair for consumers called the R-8. The glasses connect to an Android phone via Bluetooth LE. 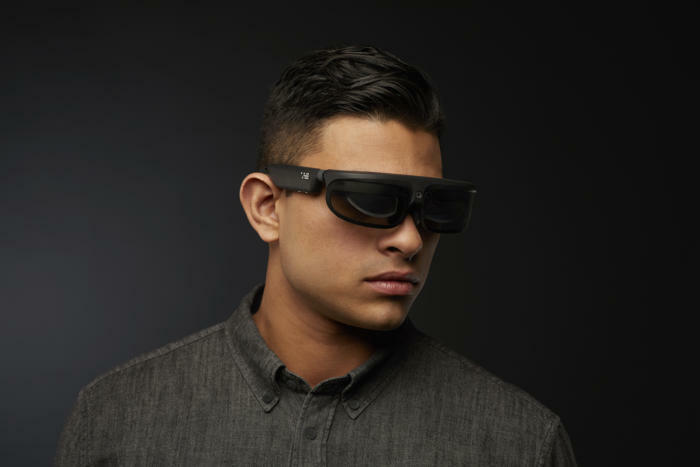 The company claims that the glasses show two 720p screens that look to the wearer like one 90-inch 3D screen that appears to float 10 feet in front. The glasses also have two 1080p cameras. This is a great example of what's happening in the market generally. Current consumer smart-glasses products are either too high-powered and therefore bulky, too expensive, too ambitious or too narrowly focused -- for example, on sports performance. The Sony SmartEyeGlass, GlassUp UNO and Factory 4.0, Epson Moverio BT-300, Jins Meme, Recon Jet, Optinvent Ora-2 Professional Smart Glass, CastAR, LaForge Shima, Oakley’s Radar Pace and HiAR Glasses all fall into these categories. They're all too much on the face to be worn around all the time. Another emerging category are so-called smart glasses that measure brain waves. Safilo Group, which is the company behind Dior, Fendi and Hugo Boss glasses, is developing ordinary looking glasses that measure brainwaves, then send that data to an app where users can monitor their moods. Finally, of course, there is the already thriving enterprise smart glasses market. Chinese computer and smartphone giant Lenovo launched new smart glasses at CES. The company's Glass C200 product comes with a pocket unit that connects the glasses via high speed LTE mobile wireless. I told you about Osterhaut Design Group's consumer announcement. They also announced an R-9 for enterprises. We've been hearing about Vuzix's M300 Smart Glasses for enterprise for quite a while, but the product should go on sale this month. All the bulky, goofy, expensive smart glasses on the market now may find niches in gaming, drone-control, enterprise and other uses. But they won't go mainstream, and therefore won't change how we use our mobile devices. I wrote in this space about Vue glasses, which use bone-conduction audio and blinking lights to deliver communion with a smartphone and thereby deliver smartness. They offer neither screen nor camera. But they do offer one feature that makes them more mainstream than all the other products I told you about: They can pass for regular glasses. They also demonstrate a core feature of smart glasses that just about everyone overlooks. It turns out that glasses are a perfect place to deliver audio interaction -- a microphone and bone-conduction audio. Because glasses can hold a bigger battery, glasses are better than earbuds for interaction with a virtual assistant, such as Siri, Alexa, Google Assistant or Cortana. They can be worn all day, every day. They keep the ears unobstructed. And the battery can last for days between charges. For that reason alone I believe smart glasses are inevitable. Any subtle integration of a screen -- perchance a camera -- is frosting on the cake, so to speak. The weird thing about wearables is that they're fashion, with all the attributes of customization and personal identity associated with fashion. The tech sector has proved that it's not really up to the challenge of offering compelling fashion designs in wearables. But Luxottica is a fashion company. And, let's face it, Apple is too. Apple demonstrated as much with its Apple Watch, which comes in a dizzying variety of types, faces and bands. I think the world of mainstream smart glasses is coming. These glasses will have to look just like regular prescription glasses and sunglasses. And you'll be able to order them as a check-box item whenever you get your regular glasses. When you think of smart glasses as ugly, bulky and dorky like today's smart glasses, it doesn't seem like Apple would enter the market. But when you realize that tomorrow's smart glasses will look like ordinary glasses, that they'll be mainstream consumer devices, and that they'll be luxury fashion goods, it's clear that Apple will definitely want to get a share of the market.